Growing up on the water was a privilege not taken for granted by Captain Patrick Kelly. He has spent a lifetime committed to fishing, conservation and being a good steward to his home here on the Grand Strand. 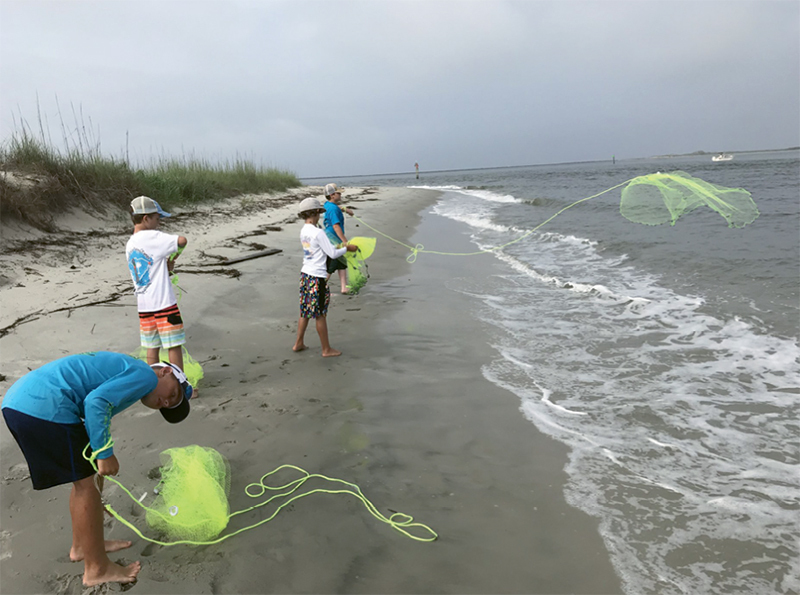 His dream has been to find a way to transfer this knowledge on to future generations, and now that dream is a reality with the Palmetto Kids Fishing Camp. Now entering its second season, the camp offers daily fishing trips and instruction. Kelly describes it best when he says, “It is kids having fun catching fish while learning lessons that will last a lifetime.” He has assembled a staff of friendly, professional United States Coast Guard licensed captains ready to share their experience and knowledge. The captains are also South Carolina Department of Natural Resources trained and certified fishing instructors who demonstrate sportsmanship and safety both on and off the water, but the main captain is Kelly himself. Palmetto Kids Fishing Camp is offered June through August in Little River. No two days are exactly the same with a variety of topics taught, but fishing is the priority every day. Lessons in fish identification, knot tying, boating rules and safety, catching bait and shrimp with a cast net, being environmentally friendly, securing dock lines to a cleat and casting competitions are woven into the daily trips. The lessons are catered to every skill level so that the experienced angler will not be bored and the beginner can learn at their own pace. Having fun is the goal. No experience or athleticism is required, but the kids must be physically able to move freely and without restriction around a boat. 16-year-old Reagan Race attended the fishing camp last summer, and three months later she won the Lady Angler award for largest redfish in the Little River Inshore Slam Tournament while fishing against women with much more experience. “I couldn’t have done it without the things that I learned during the camp,” she says. The camp operates on a weekly schedule, with the first session beginning in June and running every week until the end of August. The sessions are Tuesday through Friday from 7–11 a.m., and the cost for the four-day session is $425. All equipment is supplied, but campers are encouraged to bring a hat, sunglasses and sunscreen. The camp is open to boys and girls ages 8 to 17 and operates out of Cricket Cove Marina in Little River. For more information, visit palmettokidsfishingcamps.com or call (843) 361-7445.